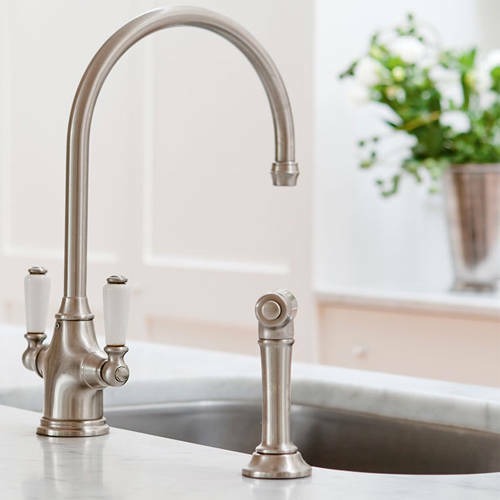 Perrin & Rowe Phoenician > Kitchen Tap With Rinser (Pewter). Perrin & Rowe Phoenician contemporary deck mounted mixer kitchen tap in pewter with lever handles and separate rinser. Easy to use lever handles. Pull out spray rinse with insulated handle (flexible hose 120cm). 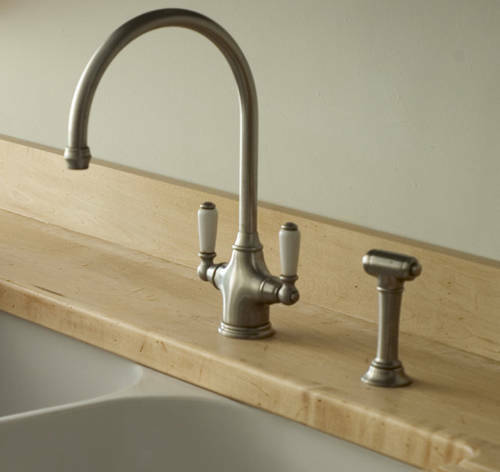 Rinses can be positioned to the left or the right of the sink (water is diverted to the rinse once the top button is pressed). Vernier insert for accurate handle alignment. Unique handle construction with integral bearing ring. Operates from as low as 0.5 bar pressure. 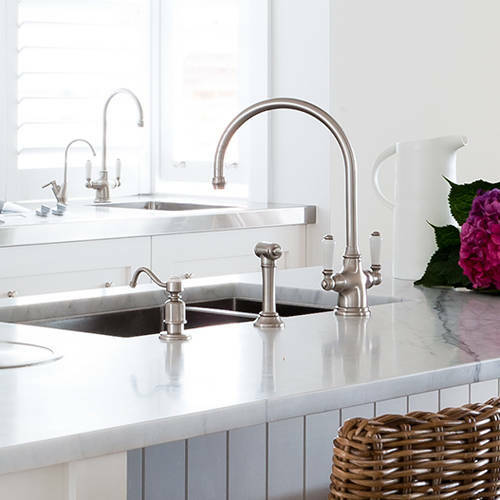 The Perrin & Rowe Phoenician luxury kitchen taps collection comes complete with an easy to use separate rinser that can be installed on the left or right of your sink.